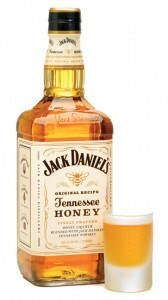 Tennessee Honey Whiskey is added into the product line of Jack Daniels. This new whiskey is mix of Jack Daniel’s Old No. 7 Tennessee Whiskey with a special honey liqueur. The honey whiskey, listed as 70 proof, can be chilled straight or served in drinks with mixers like lemonade, tea or ginger ale.